The best carpet cleaning in Haddonfield, NJ method is hot water extraction with steam cleaning. This is done by preparing the carpet with a detergent to loosen the dirt with rotating heads on a machine that dispenses water as it rotates making suds loosening preparation that then blasts away dirt with very hot water under high pressure. This removes all embedded dirt from the fabric. This same machine has a very powerful vacuum which extracts the loosened dirt and any sand particles along with most of the water that has been put down from the fiber in the carpet. Bugs, bacteria, dust mites, and fleas are killed with the high temperature of the hot water then vacuumed away with the powerful vacuum suctioning. Since all sand and grit is vacuumed away, it won't get ground into the fibers of the carpet, which can destroy carpet fabric. The drying time takes longer than encapsulation or low moisture cleaning, but hot water extraction is the only method of cleaning that restores carpet to new quality. 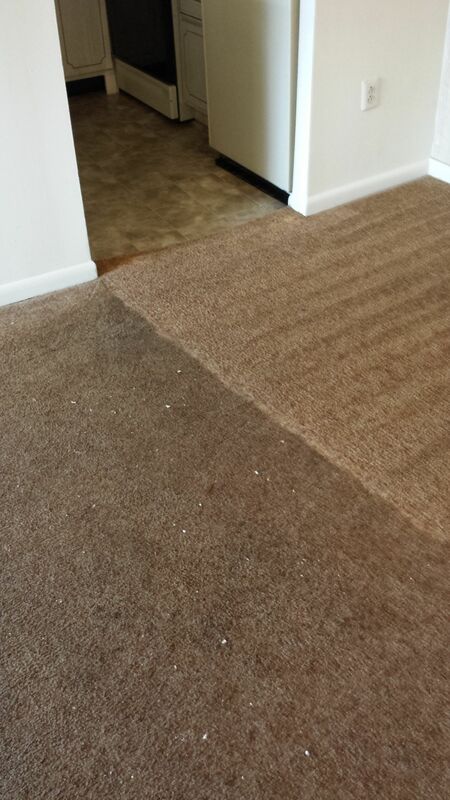 If hot water extraction is the only method ever used to clean carpet, it will keep the carpet looking new forever. At Majestic Carpet Cleaning, we use truck mounted hot water extraction, which is the best way to restore carpet. Our truck mounted machines provide strong vacuum, sufficient heat to kill infestations and bacteria, and the highest pressure of any machine on the market. Our machines have higher heat to melt grease and they have stronger vacuums to allow for the quickest drying time. All dirty water is takin away from the home or business carrying along with it germs, dead bugs, and allergens in the truck's storage tank. All work is guaranteed to be the best carpet cleaning in Haddonfield, NJ you can find anywhere.